Today’s First Responders need a powerful records management system to manage critical information. Every second counts, and FIREHOUSE Software can help you manage the information you need to make critical decisions. Fire and EMS agencies have to keep track of a wide range of information. With our large base of active clients, the fire and EMS agency experience of our employees, and our professional development staff, we feel that we offer the best Fire and EMS information management software in the industry. 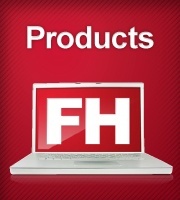 Experience FIREHOUSE Software, and you’ll experience software, support, and services unmatched in the industry. Discover your solution today! Our products are designed for both in the field and at the station use, packed with features that provide real-time access to critical information. Streamlined reporting functions keep everyone informed, up to date, and fully compliant when you need it most. We’ve helped government agencies improve operations to better serve their citizens for years. Multiple tasks and processes are critical to your daily operations, yet they divert your valuable resources from core functions. Can you use a partner with outsourcing services experience and expertise to perform these tasks and free up your vital resources? Let us help you manage those business processes.